Samsung will announce their Samsung Galaxy S9 and Galaxy S9 Plus smartphones next month at Mobile World Congress. We have already heard lots of details about the specifications on the handset and now we have some more information. The Samsung Galaxy S9 and Galaxy S9 Plus will come with an active FM chip in the US and Canada, Samsung has teamed up with NextRadio. This will be available in Samsung new smartphones in the US and Canada. Lots of smartphones come with hardware that lets them receive free FM radio signals and Samsung unlocking their FM radio chip in future devices is important in times when there is no signal as information can be relayed to handsets via FM in times of a natural disaster or emergencies. The FCC previously asked Apple to unlock the radio chip in their smartphones, although Apple revealed that iPhones from the iPhone 7 onward do not actually have the hardware installed. The Samsung Galaxy S9 is rumored to come with two processor options, some countries will get the Samsung Exynos 9810 and others will get the new Qualcomm Snapdragon 845. The handsets will have similar size displays to the Galaxy S8 and S8 Plus. 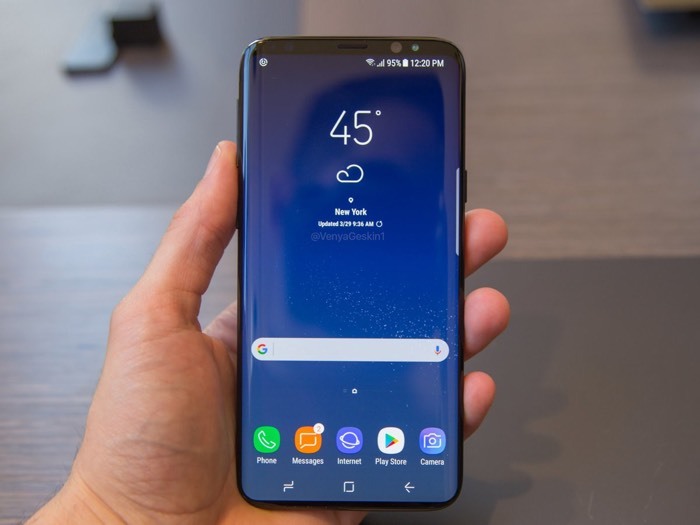 Other rumored specifications include 6GB of RAM and storage between 64GB and 512GB, the Galaxy S89mwill have a single 12 megapixel camera and the S9 Plus dual 12 megapixel cameras. The handsets will be made official next month and will be released in March.